Wheesung is Back… Was a Bit Soon. Unexpectedly, my favorite Korean artist Wheesung did a comeback with a new single entitled Insomnia, a song orginally performed by Craig David.. This song is keeping my ears glued on my iPOD. It was so soon for Wheesung to comeback but it was one of those pleasant surprises. He just launched his mini album last October and finished when 2008 ended. A little over a month he is back with a blast. I love that he is back with his polished style and the hair is just so nice. I suddenly think that Wheesung is going after that Idol image after seeing his MV. Wheesung gave this song a new lyrics and a little twist vocally and music wise. It was totally refreshing to see him this way. I must say i am now certified addicted to this new song of him. This post wraps up all the thing that i wanted to say from Christmas eve to date. This is the first Christmas that my kids asked for something from Santa Klaus. They made some cute letter to Santa posted it along with their socks. They even used an old socks hihihi. Wanting these wishes to be granted really motivated them to behave nicely. December 24, a few hours until early hours of Dec 25, connecting to Friendster is so intermittent. If you get lucky enough to log in you will experience the longest page loading ever or will get that cute little message Friendster is experiencing problems right now try refresshing your page or re-logging in later. Talking about social networking on a Christmas eve Facebook just made my net greetings perfect. Having to watch fancam videos of the recently concluded Soul Concert made my holiday net surfing fulfilling. There were clips posted in You tube featuring Wheesung’s performance in the concert but a lot has been that of Park Hyoshin. 나만 바라봐 is a song that marked Taeyang as a successful solo artist. Of course having these 3 guys sing this song is just too much of an honor for Taeyang who is a lot younger in age and career-wise. I am just not in agreement that the 3 other guys collaboration is better than the one-man performance of Taeyang. It was good in a different perspective but people should not undermine how good Taeyang was in singing this song. Overall, the way he danced and sang the song was just perfect for its original genre –R&B that is. He sounded like Chris Brown to me, a good singer who has distinct voice that characterize him from the rest. That is how i view Taeyang. Christmas passed just like that… despite the financial difficulties, Filipinos in the tradition of gift giving during this season continued with such cheer. At the end of the day its not really how small or big the gift is but its how you managed to remember the person. One observation that I had is that, there are lesser kids who went house to house to ask for Christmas presents. I just hope this tradition won’t die the natural death. My Korean R&B God is back since October 28 and my iPOD has never been the same. I was too excited for this album but was likewise a bit disappointed not because of anything else but just because its a mini album, so there is less for me to listen to. I was able to type the list of songs without looking at the album cover… this is how few the songs are =( I love this album despite having few songs. 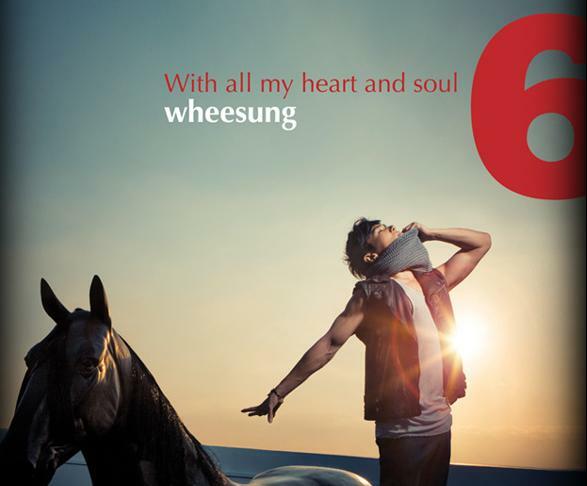 I am way too excited of Wheesung’s comeback end of this month. After a year, he is releasing his 6th album from Orange Shock. I am looking forward to this album, well I am actually looking forward all his forthcoming album. And the netizen continued to be so cursing with their comments about Wheesung like comparing him to JYP (damn i wouldn’t post his face here) and even with Rain and Jim Jong Gook. All these comments are so disgusting. Everything about his voice and music has been completely forgotten. All that matters to these people are the image, looks and style. To hell with such comments. I would always be more happy to wait for his comeback than to stare and listen to JYP, Rain or Kim Jong Gook. Blah! I think I will have another addiction. I have discovered this website on creating mobile skins. I have long been wanting to create one for Wheesung, my favorite Korean artist. 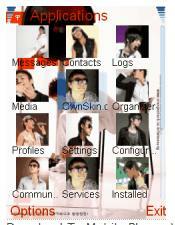 Thanks to ownskin.com.